Traditional D shaped hanging rail 600mm wide for slat wall. 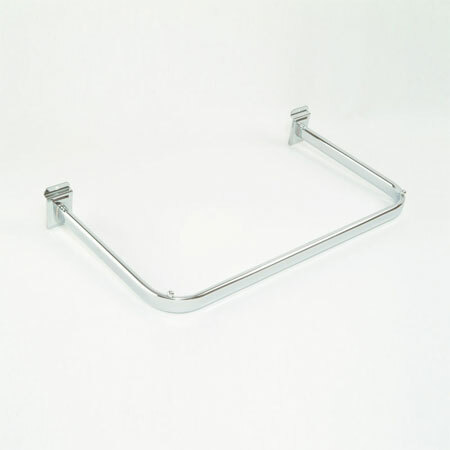 Manufactured from flat sided oval chrome plated tube. 300mm depth from slat wall. Fitted with stops at each end of the rail to hold garments in position. Ideal for garment displays or storage.